I had meant to find that reference and incorporate it into my information regarding Robert Bryan. I just hadn’t gotten around to it. Her comment/clue reminded me of three significant resources matters. So many of us want to be self-sufficient we tend to forget many researchers have been there before and we can and should build upon their work. For example, Gloria’s clue provided enough information that I could easily, and quickly build upon her work. Not just accept what she said but use it as a hint as a beginning point. I know that professional genealogists want every source to be quoted in a fashion identified in Evidence Explained. Sure, that is THE standard for citing sources. However, rather than getting all twisted around the citation standards, I am most interested in having enough information about the source that I can find it for myself. In this case, a Google search for Gloria’s clue, “Halifax County N.C. Land Grants ” brought me immediately to North Carolina Land Grant Images and Data. Seeing Search Query on the page, I searched for Name: “Bryan” and County: Halifax. Six entries were returned, one the 520 Acres of Robert Bryan. The page also had a link to an image in Book 14, Pages 114-115. There it was, an image of the original patent book. The key to me is Gloria had provided enough information regarding her source that I was able to find the source in less than a minute myself. To me that is the ultimate reason for citations and building upon or confirming her research is the ultimate purpose of networking. The county was formed in 1774 from the southeastern part of Halifax County and the western part of Tyrrell County. In 1774 the southeastern part of Halifax County was combined with part of Tyrrell County to form Martin County. I think every county page on Wikipedia has a “History” section. I find that the County entries in Wikipedia to be a great asset. Besides quick history, there is a Communities section which shows the cities, towns, unincorporated communities, and townships within the county. Great information to have handy when reviewing Census and other records. I can be a real help in understanding that an incorporated community in your genealogy is near town that may have been their post office which may have been in a township. So, when you see the names change in different documents, you can understand that your ancestors may have been in the same place even though multiple names were used. So, I have my copy of the original image, and I have my source for that image documented. I also have a transcription of the information, confirmed and reviewed by me. I am good with that and can move on to the next project. ROBERT BRYAN five hundred and twenty acres of land in Halifax County. Beginning at a Pine, his corner on Conneto Swamp running thence up said swamp to a Maple at the mouth of Wild Cat Branch; then up said branch to a Poplar in said branch; then W 62 poles to a Red Oak; then S 160 poles to a Pine; then W 40 poles to two Sweet Gums in a branch; then S 280 poles to a Pine; then W 88 poles to a pine in MOSES HORN’s line; then along his line S 23 E 174 poles to a White Oak, his corner on Conneto Creek; then down said creek to a Pine, JOHN HORN’s corner on said creek; then along his line N 17 E 142 poles to a Pine, his corner in said BRYAN’s line; then along his line W 16 poles to a Pine, his corner; then along his line N 270 poles to a Pine, his corner on a branch; then down the branch, his line, to the first station. Pay attention to hints from anywhere – check them out for yourself. The North Carolina Land Grant site is an awesome resource. Be sure to include it in your resources. Don’t forget Wikipedia County searches can be helpful. Check Google (or Bing or Yahoo) to see if the words you want transcribed have already been transcribed. Martin County Old Deed Records. Book C, Page 249.
in him off?? do our knowledge therein of these with fully satisfied and paid and ?? On the south side of Conoho Creek Beginning at a point in Hampton ?? ??? Tence No 59 N E 180 Pole asine Thence no 35 W S45 pole to asire on the ??? his heirs and assigns forever. In witness ?? of I Robert Bryan hise??? In the presence of ??? Witness. Event: Property Sale – Robert Bryan sold 190 acres in Martin County for 100 pounds to Lewis Brian. I am unable to decipher the physical location of the property other than it appears to be adjoining Conoho Creek. She grew up in Martin County. When she was sixteen, her mother Cherry died. Her father then married one of Cherry’s cousins. Ariel view Conoho Creek on right. that today is open farmland. Confederacy enlisting as a private and coming out of the war as a second Lieutenant. confirm their participation in the war. was taken over by North Carolina on 29 July 1864.
regarding Martha’s Civil war experience. It is said, “that the family hid everything of value deep in the stored cotton. It is notable that the 1880 census indicates Martha living without her husband, however, she is listed as married (not widowed). I’ve searched at length and have been unable to find her husband in the 1880 censuses anywhere, so I believe he passed before 1880. I’m not sure when Martha Ann passed. It appears that she was alive in 1870 and 1880 censuses. She doesn’t show in the 1900 census that I can find, so I believe she died before 1900. The DAR Descendants database indicates that she died in Martin County but none of the entries indicate a death date. Likewise, she is not identified in Find-a-grave or Billion Graves. We remember Martha Ann Bryan Long, my wife’s 2nd great grandmother as the 194th anniversary of her birth approaches next week. Finding a record of Martha Ann Bryan Long’s death and cemetery record. Exploring the lives of her children in greater detail to find additional connections. 1850 Census – Martin, North Carolina; Roll: M432_636; Page: 426B. 1860 Census – District 9, Martin, North Carolina; Roll: M653_905; Page: 443. 1870 Census – Hamilton, Martin, North Carolina, Pages 59 & 60. 1880 Census – Goose Nest, Martin, North Carolina, ED 103, Page 32. Member # 639203 – Ancestor # A016279. Robert Bryan. Member # 517846 – Ancestor # A016279. Robert Bryan. Member # 597793 – Ancestor # A016279. Robert Bryan. Hughes, S. J. N., & Martin County Historical Society (N.C.), Martin County Heritage (Williamston, NC, , 1980), Article # 89 – John Bryan Family. Newspapers.Com – Semi-Weekly Standard (Raleigh, North Carolina) 10 Sep 1862, Page 1. Birth: 2 March 1755 – Oak City, Halifax County, North Carolina. There are several sources regarding Lewis’ birth that indicate he was born on March 2nd, the year is somewhat in question. The best is a Roots Web message board where a person indicates that he or she has access to a bible with the 2 March date but the year was difficult to read, but thought it said 1756. I definitely want to see if I can get a copy of the page to confirm it myself. Two of the DAR descendants records indicate birth year as 1756 as well. Another possibility is 1757. The “Martin County Heritage” article by Sara Long Johnson indicates 1757; so does a different DAR descendant record (Nat’l #: 710397). However, I believe that Lewis was born in 1755 (or earlier). The 1800 Census indicates that Lewis was 45 or older. With his birthday being in March, he had to have been born in 1755 or earlier in order to be “45 or older” for the census enumeration in August of 1800. Oak City was in Halifax County until 1774, when Martin County was created. I believe there may have been three marriages. one about 1777, a second marriage about 1787 and, possibly, a third marriage on about the time of John’s birth in 1788. It is not really clear when Lewis married Lucretia. All three of the DAR Descendant records indicate he married in 1788. However, either there was a first wife or Lewis and Lucretia “lived in sin” for a number of years. I believe there was a first wife, whose name we do not know. 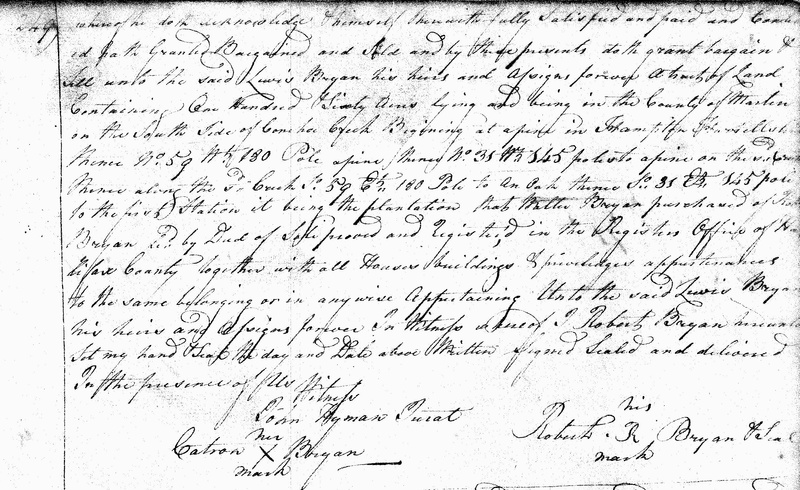 All of the DAR records are consistent that Lewis’s parents, Robert and Elizabeth Bryan, died on the same date, 3 April 1794. Lewis lived in Martin County all of his life. In 1797, he lived in “District 7.” Likewise, the 1800 Census indicates they lived in Martin County. His son, Turner, was married in 1802 and his son John married in 1810. It also mentions a Granddaughter: Sally Hyman. The DAR records indicate that Lewis died on 24 December, 1829. This is the date he signed his will, so, it is unlikely his actual death date. The “Martin County Heritage” article and another researcher on the Roots Web Board indicate that Lewis died on 6 January, 1830, which is a much more likely date. Lewis’ will was probated during the April 1830 session of the court. I believe that the 6 January, 1830 date is the correct date for Lewis’ passing. In his will, Lewis asked that his body “be committed to mother Earth.” Searches at Find-a-Grave and at Billion Graves did not result in finding a marked gravesite. Likewise, a search of various sites regarding cemeteries in Martin County did not return any results. Other documents indicate that there was once a “Bryan Family Cemetery.” I have been unable to associate that cemetery with any cemeteries in the area. This is definitely an area for further research. Confirm Robert & Elizabeth Bryan died same date, 3 April 1794. Document mention of the “Bryan family cemetery,” (make sure my memory isn’t thinking of a “Price family cemetery or something else), find where it may exist today, then search for Lewis Bryan’s marker. If you have any thoughts, agreements or disagreements regarding any of my statements, findings, or thoughts, please leave a comment or email me directly. I would love to share research on North Carolina’s Martin County Bryans. Daughters of the American Revolution – Ancestor # A016279 – Various Descendent charts. The Howell/Hobbs line has had many in the military. Certainly, the most famous of them is Greybeard’s 1st cousin, Frank Alton Armstrong. 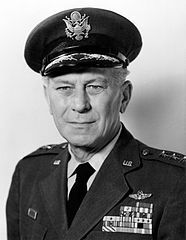 During World War II, Col. Armstrong led bombing missions over Germany, which were the basis for a book, movie, and a TV program, “Twelve O’Clock High.” After VE day, he flew many additional missions over Japan. After the war, General Armstrong pioneered a nonstop air routes from Alaska to Norway and Alaska to New York. In terms of direct ancestors in the Howell/Hobbs line has three veterans that I have identified so far. 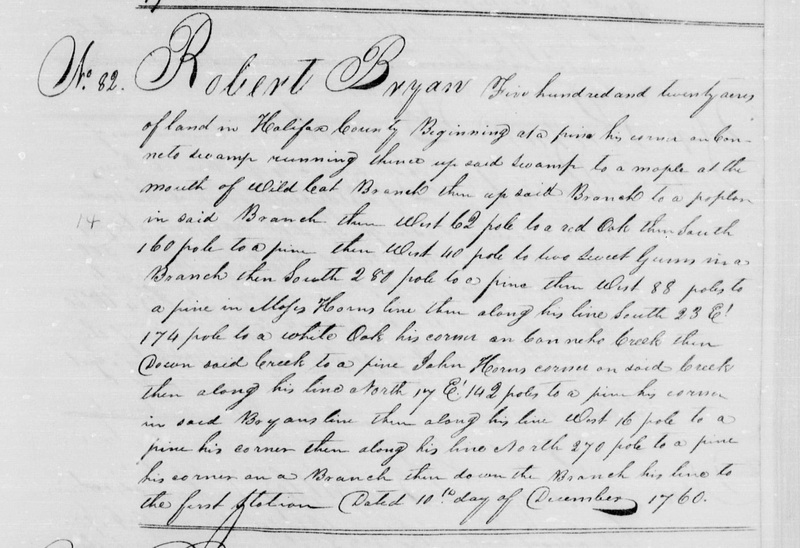 Robert Bryan (1736-1794) – Revolutionary War – 5th Great Grandfather. James Ashley Hobbs (1844-1920) – Civil War (South) – Great-Grandfather. Robert Bryan died 3 April 1784. We do not know his burial location. Sources: Martin County Heritage – [Biography] 89 – John Bryan Family by Sara Long Johnson. David Swazey (1762-1828) – Revolutionary War – Fourth Great Grandfather. Please consider leaving virtual flowers and a note on his Find-a-Grave virtual marker. James A. Hobbs enlisted, for the Civil War in Co. G 3rd Reg. N.C. Calvalry (12-1-1862) (41st State Troops) at Camp Badger as a Pvt., age 20, residing in Martin County. Present or accounted for until transferred to Co. A, 17th Reg, NCT (2nd organization) 9-23-1863. Pvt. James Hobbs with the 17th NCT, whose home was Hamilton, NC was admitted to Hospital No 4, Wilmington, NC, on 12-6-1863; retd to duty 2-9-64. He was admitted for catarrtius, which is an inflammation of the nose or throat. It must have been really bad to keep him hospitalized for two months. He was in Ward 8, bed 162. COMPANY G, the “Scotland Neck Mounted Riflemen,” from Halifax County, had six commissioned, seven noncommissioned officers, and 108 privates; total, 121. Atherton B. Hill, who was made Captain 9 October, 1861, was succeeded by Benj. G. Smith promoted from Second Sergeant. First Lieutenant, Norfleet Smith; Second Lieutenants, George A. Higgs (afterwards promoted to Captain), Theodore B. Hyman, and John T. Savage. James Ashley Hobbs died in December 1920. We do not know where he was buried. Source: Martin County Heritage – (Biography) 418 – James Ashley Hobbs by Hazel Armstrong Valentine. 1861 – Peter Fletcher Howell enlisted on 23 October at the Sussex Court House in Virginia. 1862 – In May he was promoted to full 4th Sergeant. 1862 – In August he was Transferred to Company G. Virginia 61st Infantry Regiment. 1862 – In July he was promoted to full 2nd Sergeant. 1864 – In July he fought at “The Crater” where Sargent Peter Howell captured the regimental flag of the 2nd Michigan Regiment. He was with Mahone’s regiment and his participation at “The Crater” confirms oral history that he probably did participate in a “turkey shoot” of US troops. 1865 – In Feb he was promoted to full 1st Sergeant. 1865 – He mustered out on April 9th at Appomattox, VA.
Peter Fletcher Howell died on 27 October 1924. He is buried in Cedarwood Cemetery, Weldon, Halifax County, North Carolina, USA. Please consider leaving virtual flowers and a note on his Find-a-Grave virtual marker. Sources: Ancestry.Com — Historical Data Systems, comp.. U.S. Civil War Soldier Records and Profiles [database on-line]. Provo, UT, USA: Ancestry.com Operations Inc, 2009. Original data: Data compiled by Historical Data Systems of Kingston, MA from the following list of works. The Daily Dispatch: August 3, 1864., via Perseus system at Tufts University. Robert Harry Darling, aka Harry, served in the US Navy during World War II. Little is known about his service as many records of service were lost in a fire. We do know enlisted in the Navy on 23 November, 1943, in Salt Lake City, Utah, when he was 36 years old for two years. He served at the Navel Training Center, San Diego and the US Naval Hospital in San Diego, CA. Robert Harry Darling died on 22 January 1969. He is buried in Cadillac Memorial Gardens-East, Clinton Township, Macomb County, Michigan, USA.